When Facebook was launched, it was simply a social networking platform designed primarily college students. However, it did not take long for the program to skyrocket into the demographics of a much more diverse group of people. During its road to evolution, the program released a wide variety of browser-based video games which have since grown to attract hundreds of thousands of players throughout the Facebook community. There are hundreds of games on Facebook, so naming all of them is nearly impossible. However, if you are looking for a good, relaxing and casual gaming experience, you can take a look at this list of the top 10 games on Facebook. Though these are only a small representation of the popular games found on Facebook, they are clearly some of the most popular. 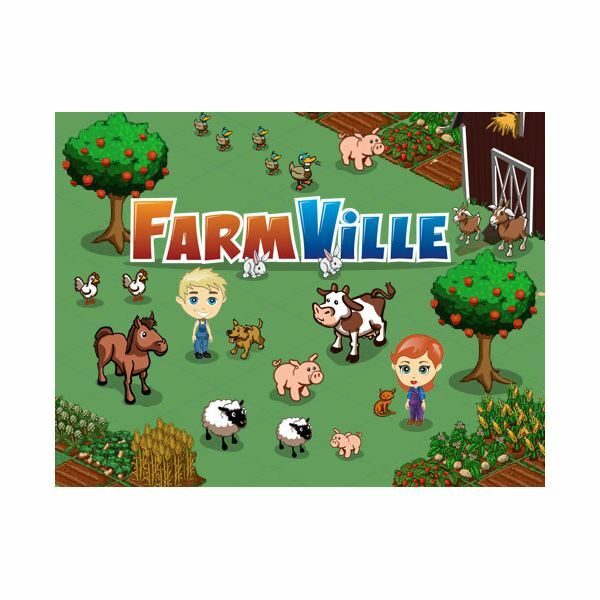 Though no one could have predicted that a land-chore simulation video game would become popular so quickly, FarmVille is one of the most played video games on Facebook. In the game, you manage a farm by growing crops, tending to animals and trees as well as ensuring that your crops remain free of pests and critters. Why is this game appealing? The game is interactive and requires a time-sensitive dedication from its players. Players must wait for several hours to several days for their crops to come ripe. When they do, the player must then harvest them before they go bad. This keeps players engaged and playing. FarmVille currently has over 20 million players. In the same vein as Sim City, CityVille is a city-development simulator where you must manage everything from power to natural disasters. You are the mayor who is tasked with keeping your city running and your citizens happy. 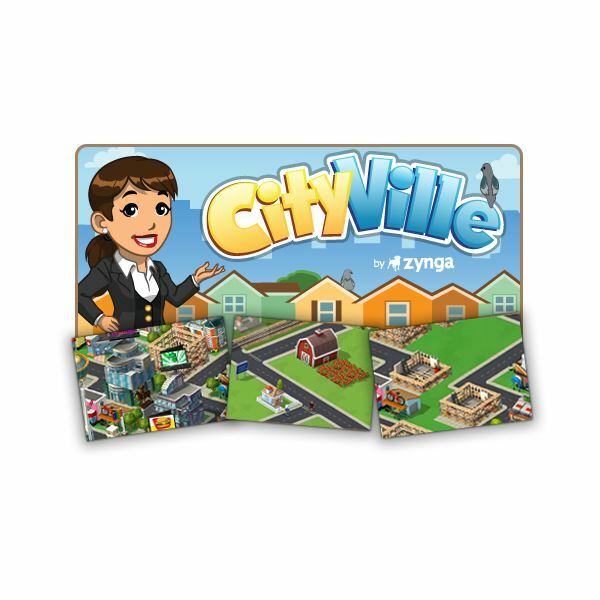 Like FarmVille and Treasure Isle, CityVille continues running even if you are not playing it directly, which means that things could be happening in your city when you are sleeping or at work. This keeps players glued to their monitors to make sure they don’t miss a thing. Though still an up-and-comer in the social gaming circuit, Ninja Warz has become a very popular game on Facebook. In this game, you command a school of ninja warriors who must fight against other schools and monsters to grow in power. This game is primarily popular because it takes a lot of hard work to reach the level needed to beat tournaments. You also are qualified to win rewards for your ninjas the more you play and fight against other clans, making the game even more interesting for players. In Ninja Warz, you can also purchase magic items to help your ninja gain an edge over the other ninjas in the game. Bejeweled was around long before Facebook, but that doesn’t mean that the Facebook edition did not attract players. In Bejeweled Blitz, you try to line up jewels in rows of three or more to clear the board and get the high score. What is most appealing about this game is that it is almost entirely mindless. This means that players can sit in front of their monitor for hours on end playing the game but not really getting anywhere. There is no time commitment, no levels and no required specifications. All you have to do is open the application and turn your brain off. Made by the same people who created FarmVille, Treasure Isle is a newer game where you take the role of an explorer who is searching through various islands for treasures. In addition to this, you also manage your own home island by growing fruits and plants to help you keep your energy up as well as decorate your island by using hundreds of embellishments. This game is very similar to FarmVille, except it has a focus on exploring rather than repetitive chores on the farm. Sticking with the real-work simulation, Café World puts you in charge of a café that must rise from the ground up to increase popularity and make its customers happy. In this game, you are the chef who must cook all of the main dishes to serve what the customer wants. The appeal in this game lies in the growth aspect. As you gain levels and money, your café will begin to grow in space and in popularity. A game hosted by the Zynga suite, Texas Hold’em Poker is clearly one of the most popular games on Facebook because of the real-poker atmosphere and pace. You play against actual players around the server, making it a truly social video game. Though you cannot win real money, you can use the fake money that you win to purchase clothing and other items for your avatar. Though it is a poker video game, anyone can play it because no actual gambling takes place. In the game, Mafia Wars, you take the role of a rising star in the world of underground organized crime. The main difference in this game is that it is purely text and notification based. You do not have an avatar or someone that you control. All you do is assign the tasks to your unseen hero and the task will automatically resolve, leaving you with the reward or the penalty. The appeal to this game is that, the more you play, the higher your rank and cash will go up. This keeps players interested for hours at a time. 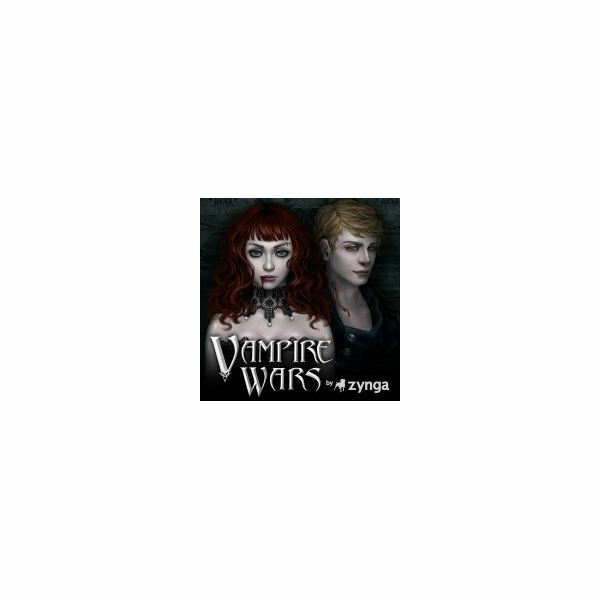 Very similar to Mafia Wars, in Vampire Wars, the same type of simulation is left to you. The only difference is, instead of a crime boss, you are a vampire who must fight other clans and monsters, while feeding to get stronger. Though this game is a little darker, it keeps players coming back for more because you can only do so much at a time. After you complete a task, you must wait for your vampire to rest before sending him out. This could be a few minutes or a few hours in real time. This game, though not by Zynga, is very similar to Café World. The difference here is that you take the role of a nightclub owner rather than a chef. The goal here is to make your nightclub big so that people want to come and dance, drink and socialize here. Like Café World and the other simulation games, this game continues to run when you are not playing, keeping players at the screen for fear of missing something. Though these top 10 games of Facebook do not even come close to covering all of the games there are to enjoy, understanding what they are and understanding what makes them so popular will help you understand what kind of game will be best suited for the type of gaming you are interested in online. Is there a game you think should be added to our list? If so, be sure to visit the comments section below.